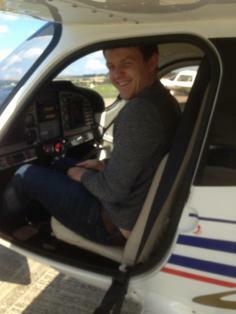 Hey there and a massive welcome to my blog, Pilot George! 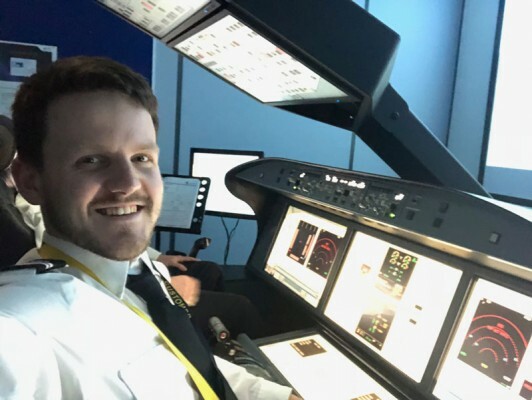 If you haven't guessed already based on the name of the blog, then my name's George and I'm a 24 year old university graduate and recently qualified commercial pilot. Graduating my training in May 2018 I was offered a role with easyJet a few months later and will start flying passengers in early 2019. I set out on the long road to my licences with CTC Aviation back in August of 2016 which become L3 Airline Academy half way through my training. I originally created this website to keep family and friends updated on my progress but to my delight the audience started to grow. Having received a variety of questions on the selection process, seeking finance, cost of living and other such things I decided to publish a number of blog posts in response. You can find these within the blog itself and I hope they can help you out too! This about me page serves to provide an insight into my life and a quick summary of the course I enrolled on. Detailed posts on the latter can be found within the blog itself. You'll notice I am very open with my G.C.S.E., A Level and Degree results as well as my past employment history. I have done this not only because it's such a common question I receive, but it's also as a way for you to understand my background. I would like to stress here that I'm was by no means the model trainee so don't go thinking you need a degree to train as it is in fact, quite the opposite. Throughout my training I was surrounded by many individuals from just as many differing backgrounds. Some wanted a change of career, others had recently graduated university (like me) and the large majority (at least in my course) had just completed their A levels. If you're interested in where my dream began and an overview of training you might find the "The Story So Far" section towards the bottom of this page an interesting read. I completed my flight training as part of an Integrated training course. An integrated course essentially means you complete everything with that one provider, for one set price. After considering various flight schools I opted to complete my training with L3 Airline Academy, formerly CTC Aviation. 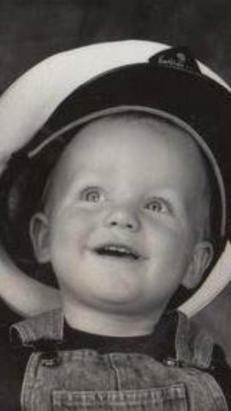 Having had no flying experience before, L3 took me from zero to fully qualified commercial pilot in 20 months. Please refer to my LinkedIn profile. For as long as I can remember I've been fascinated by the entire concept of flight. 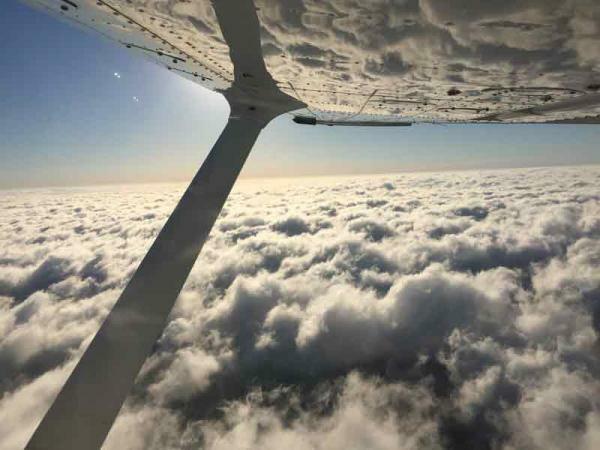 For me, like many other budding commercial pilots, piloting an Airbus, Boeing, Embraer or any other make of aircraft around the skies is a thing dreams are made of, but where does the Aviation dream come from? Well, the truth is I have absolutely no idea! Whilst some cadets will reel off a full explanation (and there's nothing wrong with that by the way) I can't quite put my dream in to so many words. I mean, my Dad works on aircraft as did both of my Grandparents at some point, but was it their involvement in the industry that lit the flame? I'm afraid your guess is as good as mine but having worked in industry already, there isn't another that comes close (in my opinion). With my mind firmly set on becoming a pilot I researched the many different routes to the flight deck. L3 Airline Academy (CTC Aviation) was on my radar but at the time it seemed very expensive when there was little guaranteed in return and to add to that I wasn't even of age to apply. With financial constraints being the main barrier for me, like it is for many others, I started to consider the RAF. My Dad and Grandfather had been in the forces so why not follow in their footsteps, right? Although it has to be said both were in the Royal Navy so the idea of their son/grandson becoming a 'crab' made them chuckle. The more I read about our 'Air Power' the more excited I became and said interest later lead me to join the Air Cadets where I remained for almost 2 years. ...That is, until the 21st September 2014 when my fortunes began to change. On this day I was gifted an experience flight and loved every second of it. A few months later I happened to be exhibiting at the same event L3 Airline Academy (CTC Aviation) were. During a little bit of downtime I paid them a visit and had a chat about their current position. Then being aged 21 it had been 4 or 5 years since I had last looked at them and they had certainly come a long, long way. I explained my predicament to which they advised I booked myself a Class 1 medical examination to find out if I truly was colour blind. Looking back I am so happy I volunteered to help out at that exhibition as L3's advice ended up with me being granted a completely unrestricted Class 1 medical certificate. I wasn't colour blind after all. I always had a feeling that optician was wrong and what's even better is I passed the CAA's Ishihara test with no issues. I didn't even need to make use of their more advanced tests. A week or so later CTC announced their brand new partnership with Virgin Atlantic and I made sure to apply! I passed the application stage but sadly fell short at Dibden Manor in the mental arithmetic tests. As upsetting as a failure was, looking back I believe I am now in a better position. If I had made it all the way through the application process I would have dropped out of my degree three years in. Who does that?!!! 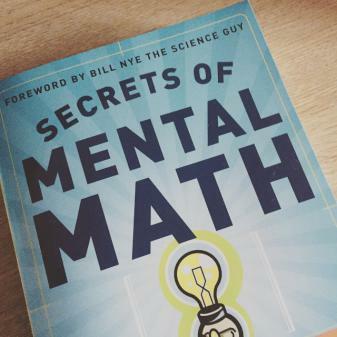 Certain I wouldn't fail next time I spent the year that followed practicing mental arithmetic every single day to ensure I could complete 15 questions in as so many minutes. The good news is that I passed at Dibden Manor a whole year later but the bad news is I sadly didn't make the final Virgin Atlantic shortlist. Nevertheless, L3 Airline Academy (CTC Aviation) extended me an offer to join their Whitetail Integrated ATPL program after the completion of Virgin Atlantic assessments in February 2016. Whilst I was pleased to have the offer on the table, I wasn't going to jump in head first. The fact is, £93,800 is a lot of money to part with. 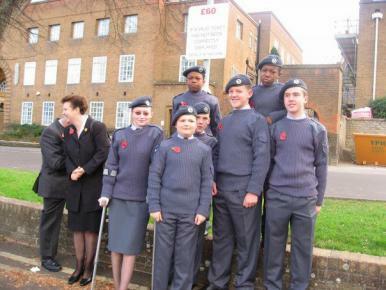 I was sure to contact several current, and past cadets for advice, I also visited L3 Airline Academy (CTC Aviation) for two or more open days to get a true feel for it and introduce family to the organisation. Even with all of the above, I didn't feel I would be joining L3 Airline Academy (CTC Aviation) as funding options required household disposable income above a certain amount each month and on initially checking, BBVA would lend me no where near the course fee. It is worth noting that finance is another topic in itself so if you're interested in it I've talked about it in a separate section of this blog. After several weeks of discussion, the financial support of both grandparents, parents and brother, we sent an application to the bank in March and received a response back an entire month later. Great News!! The bank were now willing to lend me £70,000 and the rest we found from other sources such as savings etc. Allowing myself time to complete my degree, take a short break from studying and enable the bank to complete their processes, I opted for course CP149G starting on the 11th August 2016 - I was super excited to get going. Despite previous cadets and even line pilots from Bristol Airport warning me of the intensity of ground school, nothing could have prepared me for just how full on it was. 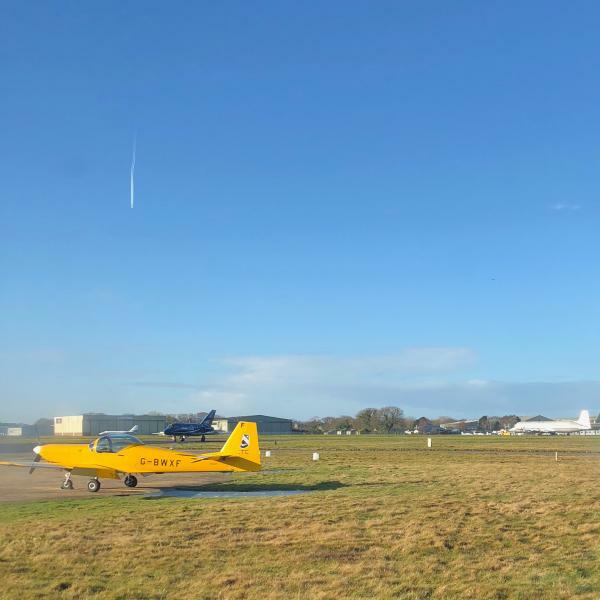 Based in L3's Nursling training centre, I studied for the 14 ATPL topics over a period of 24 weeks and was so relieved on receiving my final results in mid-February that I'd passed all of them to an overall average of 86%. My courses' flight training was originally planned for Arizona although changes to programming saw us moved to New Zealand at the last moment. As a result we had to wait a couple of weeks for our visas to return. The 15th of March was soon upon us and we boarded that A380 for New Zealand, via Dubai. Having never been to New Zealand before I was incredibly excited to see a new part of the world all whilst experiencing it from a few thousand feet in the air! On arriving we were given the weekend to settle in before cracking on with the initial indication in to the New Zealand air law with flying starting two weeks later. Nothing could have prepared me for just how gorgeous New Zealand was and there's not one trainee in the academy that will disagree with me. The rising terrain, the long winding rivers, the epic sunrise / sunsets.. need I go on? I have to say I felt truly spoiled that L3 Airline Academy actually sent us there! In fact, the more i think about it the happier I am with it as a location compared to Arizona as there's only so much sand I think I could've put up with! The first 20 weeks of training saw my coursemates and I taught the fundamental skills of flying a plane as well as how to navigate by VFR - visual flight rules. Some of the sights I got to see were truly out of this world and whether it sun glistening shores or snow covered peaks, they're certainly not something you could replicate in the United Kingdom. As we approached the 100 hour mark we completed our first assessment. This is known as PT1 (progress test one) and is based on the EASA PPL Skills Test. 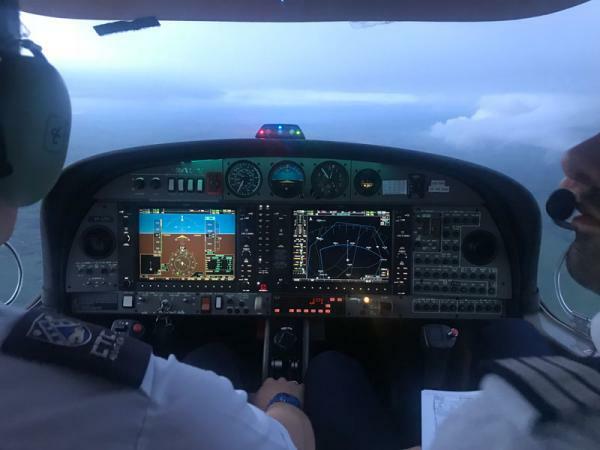 With PT1 out of the way it was time to move on to the advanced phase of training which lay the foundations for flight by what we call IFR (instrument flight rules) ahead of our instrument ratings in Bournemouth. A series of classroom based mass briefs and simulator details preceded flights in the aircraft. I've got to say the advanced phase was by far the most enjoyable as it made things seem much more 'airline pilot' like through the use of navigational aids like VORs / NDBs / DMEs and GPS. Alongside this was a greater requirement to communicate with air traffic controllers which certainly kept you on your toes. The advanced phase is also the first time in the training course you get to experience 'cloud surfing' which is a strange but incredible sensation. You almost forget that the ever peaceful blanket of fluff is simply water vapour and that beneath it are several people midway through their 9 til 5. I don't know about you, but I certainly know where I'd prefer to be. 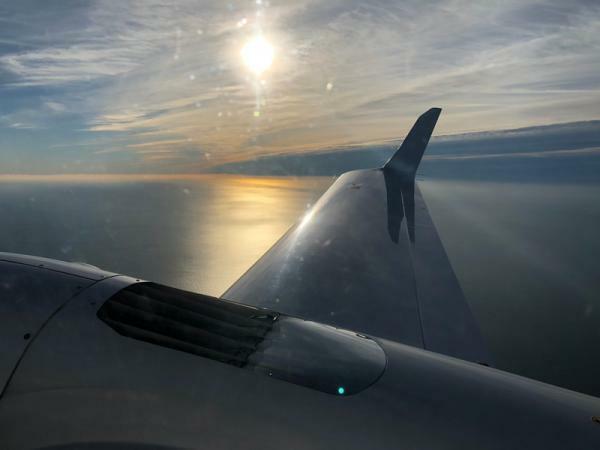 In addition to flight by instruments the advanced phase saw us transition over to a multi-engine environment allowing us to get our hands on the Diamond DA42 Twinstar. Wow, what an impressive aircraft. As part of our licences we are required to attain a multi-engine class rating and thus conduct general handling flights and complete a multiple choice exam paper. Passing this permitted us to then fly the Twinstar on IFR navigation flights. These were thoroughly enjoyable and a few nice chats to scheduling often saw a coursemate and I manage to secure back-to-back bookings affording us the opportunity to fly further afield. 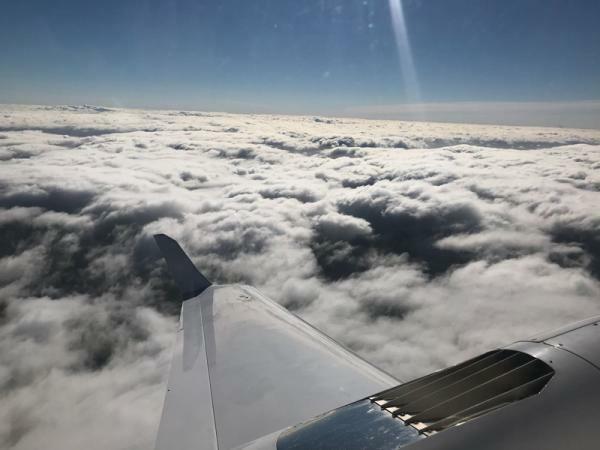 The advanced phase came to a close with another progress test, PT2, which required us to demonstrate competence in IFR navigation and in-flight procedures such as holding. This was a tough flight but thankfully one in which I passed. Some hard work will be needed prior to Bournemouth though to ensure the procedures don't disappear from my head! With PT2 out of the way things started to get very interesting as we approached our CPL skills tests. Having flown IFR everywhere for the past 50 hours or so it was time to transition back into the mindset of visual flight and complete three mock tests. General handling exercises such as steep turns and stalling returned to the table having not completed these for quite some time. I've got to say that the IFR to VFR transition was rather tricky having become so used to flight by instruments. Sadly this led to a little slip up with respect to the eventual CPL test but with a bit of support from the school I eventually got there. 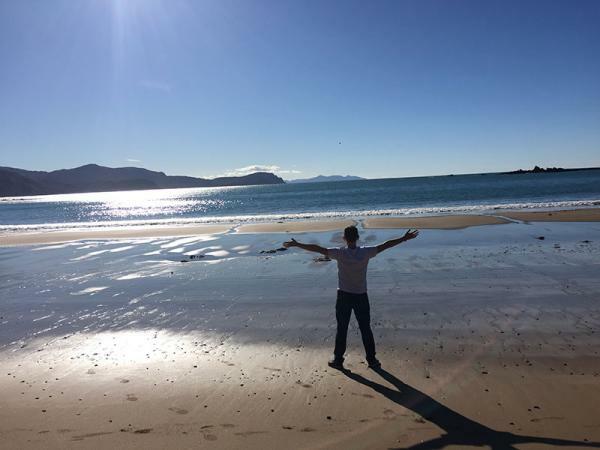 The CPL, or PT3 as it's known internally, concluded my training in New Zealand. It was home time, after a very long eight months of up and downs. After landing back in the UK on my Mum's birthday, by total coincidence, and having a couple of weeks to recharge my batteries and get over the jet lag - which was a total killer - it was time to head to Bournemouth to continue my training and earn myself that must-have instrument rating. 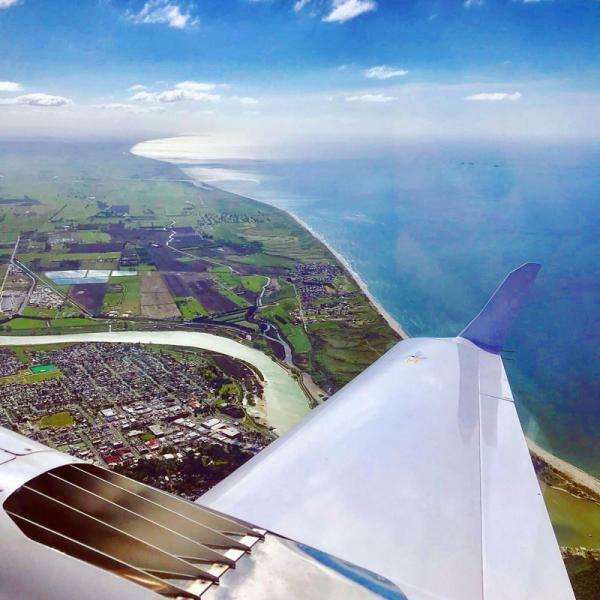 In essence, the instrument rating phase of the training builds upon the instrument training we completed in New Zealand and brings it up to scratch with the specific requirements of EASA and the UK CAA. On paper this phase is to last about ten weeks although as my time here straddled Christmas, the time from starting to passing was about 11 weeks excluding the Upset Prevention flights yet to come. The Bournemouth Instrument Rating is split into two halves with the first bit in the simulator and the latter in the aircraft. The simulator events are designed to introduce you to the key differences between the New Zealand and UK way of doing things before then progressing in complexity to introduce systems failures as part of Line Orientated Flight. Once those are complete you return to the Twinstar to fly a series of mock instrument rating events by flying on the real test routes as familiarisation. This concluded with a real mock before the actual Instrument Rating test. Unfortunately I went on to partial the instrument rating which meant I then needed to re-fly the areas I’d failed in order to attain my first series pass. Thankfully I went on to pass the re-flown aspects to gain the Instrument Rating with the grade/score I needed. 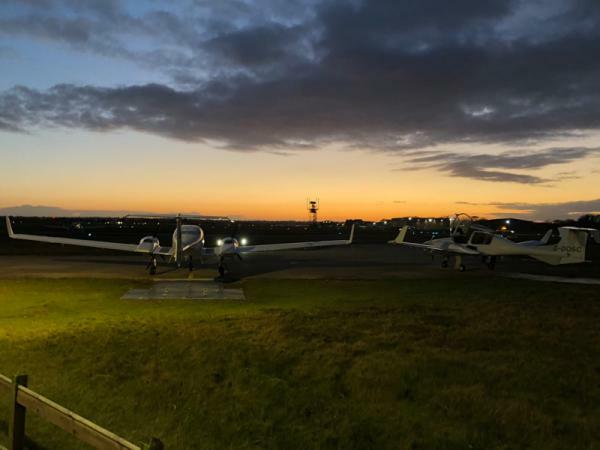 By flying in Bournemouth during the Winter / the start of Spring, the weather was somewhat similar to that in New Zealand and a few cancellations were experienced as a result of low atmospheric freezing levels with associated inoperative aircraft icing equipment. Given I only needed to complete around five or six flying events here though mother nature wasn’t anywhere near as much of a hinderance as she was down under. I can’t even begin to explain to you the feeling I felt on completing the Instrument Rating which brought all of the actual flight training to a conclusion therefore meaning I can call myself a “qualified commercial pilot” and thus apply for my actual licence. WHOOOP!! The next step of training was to complete the Upset Prevention and Recovery flights (UPRT). These lessons aim to provide flight crew with the required skills to both prevent and to recover from situations in which an aeroplane unintentionally exceeds the parameters outlined for typical operation. Essentially an upset is defined as a condition we should never find ourselves in, i.e. a fully developed stall and thus as trainee pilots we are taught how to prevent entering the given upset condition in the first-place. As soon as the weather improved I was able to complete these flights in somewhat quick succession which therefore brought my training in Bournemouth to a close. With both my CPL, Instrument Rating and UPRT training complete it was time for a well needed two week break. Despite having the time off we were given some pre-reading to do ahead of the final and somewhat full-on Airline Qualification Course. This final bit of training is delivered in the Southampton training centre and sees each of us are partnered up with another cadet to complete 36 hours of training in a simulator across two weeks. In our case we were assigned the Boeing 737-300 fixed base sim. This was the first time any of us had properly flown in a jet environment and having been so used to piston powered aircraft it was certainly an interesting experience. Not only did we have to learn how to work together in a multi-crew environment - something which is incredibly strange at first - but we also had to manage the pure speed of a jet aircraft. During the first week we mostly used the autopilot whereas the second had more of a manual handling focus. The purpose of the AQC course was to assess our ability to work in a multi-crew environment. We were assessed across a variety metrics as discussed during an initial three days in the classroom. I'm pleased to say that I went on to achieve a "Normal" score which is in-line with expectations for pilots at this point in their careers. The final landing on our final sim session marked the completion of our training. That was it. My time at L3 CTS had come to an end. Training complete. Fin. So... what's came next? - the job hunt of course. This is the part that holds the most uncertainty for a fresh faced pilot. At the time I graduated there were countless opportunities popping up with airlines far and wide. Whether you fancied a role on a Boeing or Airbus or a role in European short-haul or the Asian long-haul market, there were lots of job postings ready to receive our CVs. With a failed CPL I was perhaps a lot more anxious than your average ATPL graduate but went with the flow anyway. I applied to several airlines and in the end only heard back from about four or five of those. In the end I was invited to an interview for Turkish Airlines, easyJet and Eurowings. Since a young lad I'd always felt an affinity to easyJet and I guess you can thank ITV's Airline program for that. The TV show had me hooked and if I could choose any airline to fly for it would be them. I took easyJet up on their invite and took part in their selection process. From the moment I walked out the interview to the day I heard my result I was full of nerves. easyJet was the dream. A few days later I received that life changing email offering me a position as an Airbus pilot at easyJet. No words can describe how incredible that felt and how happy both I and the vast majority of my direct family were at the relief this was. Throughout the job hunt process you sometimes lose sight of the end goal and feel you'll never land that first job. That uneasy feeling was no more. I was told to sit tight and that I would hear from easyJet in due course once they'd confirmed a type-rating date for me. After a couple of months waiting I received a conditional job offer in September. It stated the job was mine so long as I could complete a type rating on the A320 to the satisfaction of both the airline and the chosen training partner. I promptly signed and returned it. Things were starting to feel real. Given the ever-changing, fast-paced and unpredictable nature of the aviation industry my start date was unfortunately pushed back a few times. It seemed the airline had a shortfall French speaking pilots in their French bases and with that in mind had decided to enrol French speakers first. My best guess for the reason behind this was that Air France had not long opened up positions for direct entry pilots and I suppose that, just like whenever British Airways opens for pilots here in the U.K., an exodus had occurred. An aviation recruiter once told me that pilot recruitment is like a bucket with holes in claiming that every time she hires a pilot, another moves on. That statement is not all that hard to believe when you look at the upward growth in the industry of late! I can totally understand the reason for the delay but I'd be lying if I said that seeing French-speaking cadets - who finished months after me - walk straight into a type rating with no delay didn't made me envious. A few more weeks had passed and Christmas was fast approaching when one afternoon in early December I received a phone call. I was offered the opportunity to start on a type rating commencing on the 27th December to which I gladly accepted. 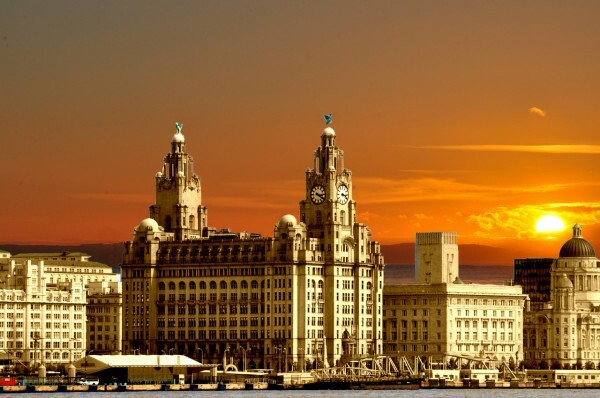 Before long I received the formal employment contracts, learnt my that type rating would be delivered back at L3 Airline Academy in Nursling and found out that from March I'll be flying passengers to/from my new base: Liverpool John Lennon Airport. I couldn't wait to get started and began counting down the days. 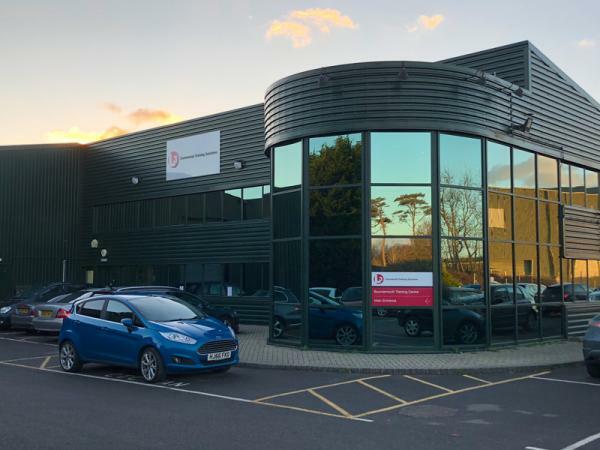 After enjoying Christmas I drove to L3's Southampton training centre early on the 27th to kick off the first day of training. Having had a few months away from the training environment I'd somewhat forgotten the fast-paced nature of an integrated training school. The quantity of information that came our way in that first day alone was huge! 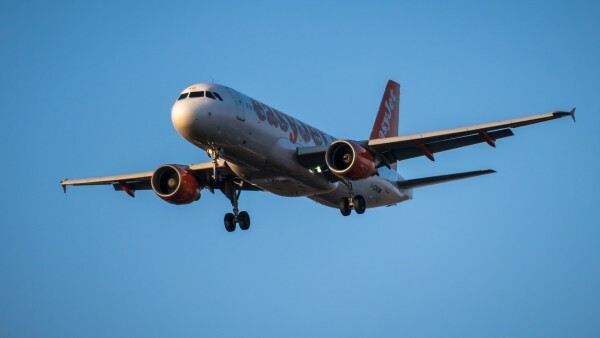 Over the course of the first two weeks we learnt about the systems on board the aircraft and spent time with an instructor in the Virtual Flight Deck environment to learn easyJet's standard operating procedures. There sure was a lot to learn from memory! Thankfully I passed the ground school aspect with 86.5% in the main technical exam and move on to the simulator phase on Wednesday afternoon. Last updated: 15th January 2019.